﻿ Home | HB CEVNI SISTEMI, d.o.o. 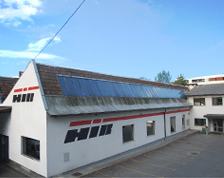 HIB is a limited liability company with its seat at the address Savska cesta 22, Kranj. It is registered at the municipal court in Kranj under the number 1/739/00. This is a family company owned by Igor and Darja Bizjak.